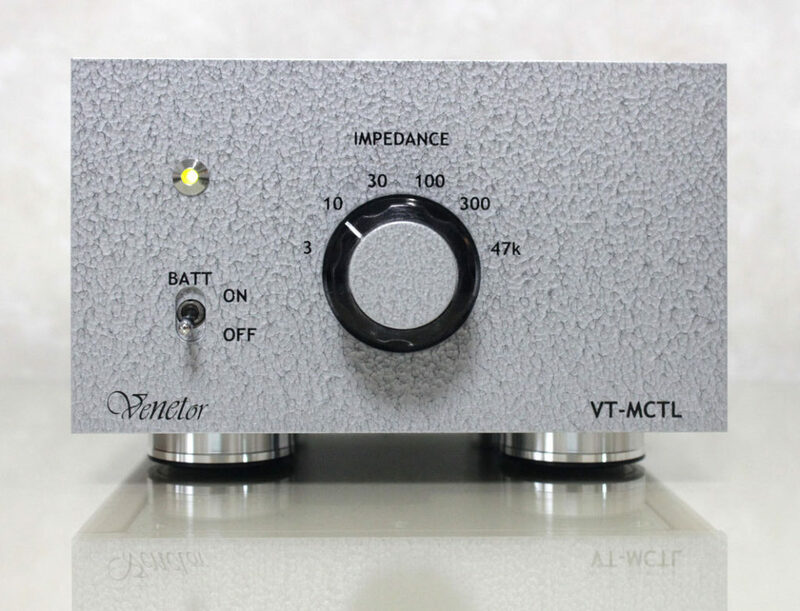 The VT-MCTL is a Head AMP for MC Cartridge to voltage amplification. 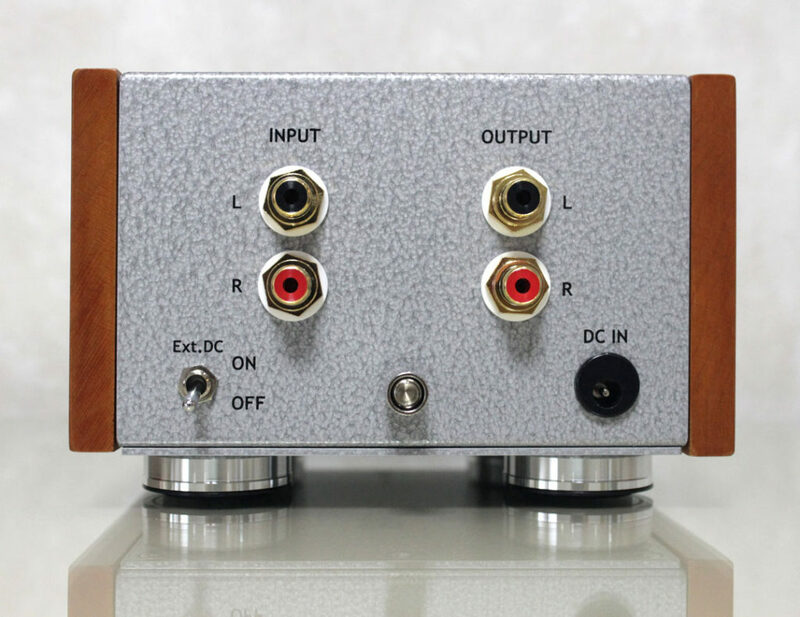 As the name suggests, it boosts and amplifies the MC Cartridge signal as it is, without using MC Cartridge Trance. Compare to MM Cartridge, MC Cartridge feature that combines excellent reproduced sound with the clear and high resolution, suitably localize the musical instruments. It also has capability to capture fine sound signal of record disk. On the other hand its output voltage is small as 0.5mv. less 20dB～30dB output voltage than MM Cartridge . To make this low voltage boosts as MM level, it need MC Head AMP or MC Trance. Because of the band limiting of coil inductance, to manage whole sound region ranging by MC Trance is difficult to reproduce the all frequency range of the sound without considering coil component’s core material, core volume, coil wire thickness, coil coating material, number of turns of the coil wire, transformer padding . That makes critical writers employed by publisher may criticize about the quality of the individual MC Trance and different styles of music sound ,like delicate chamber music, orchestral music and jazz vocal. Instead of MC Trance which only to boost, MC Head AMP has no variations in a frequency characteristic and is capable of whole band amplifies and boost all audio recorded sound. It has a disadvantage of a power and noise of the amplification circuit, so to solve this problem is very important key. VT-MCTL amplifier is a discrete circuit with Non Negative Feedback AMP. An initial stage Push-pull Circuit uses FET(Field-Effect Transistor). it exactly boosts feeble signal of MC Cartridge. A rear stage Push-pull Circuit and Emitter follower circuit output signals make high impedance and all signals from MC Cartridge flatly boost whole sound. Another feature of VT-MCTL is power supply circuit, it’s equipped with lead shield battery makes lower noise power environment. When the batteries are weak, the battery low indicator LED will stay RED. While charging, the charging indicator will orange. When batteries are fully charged, the charging indicator will stay GREEN. To switch input impedance which capable cartridge is select from the front panel rotary switches. Then turn the dial to the left until sound pressure became half of it. This is one of the ways to find impedance but you may select reproducing sound by your favorite choice.